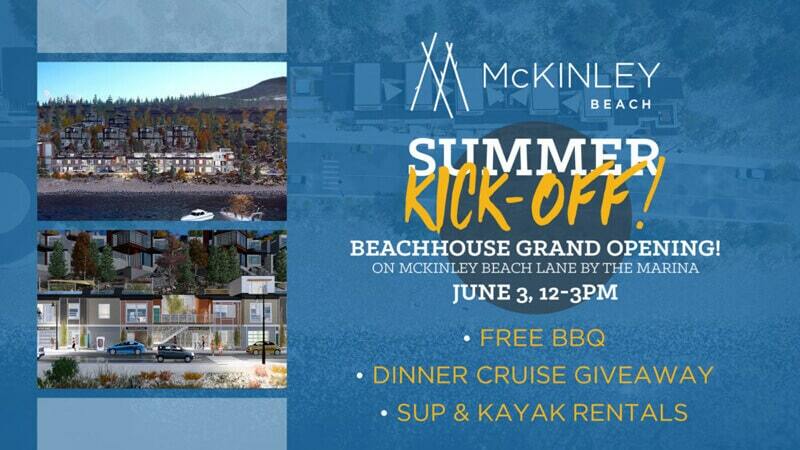 It’s time to Kick Off the Summer at McKinley Beach and Celebrate the Beachhouse Grand Opening! Come out and visit us on Saturday June 3rd from 12pm – 3pm at McKinley Beach. We’re having a special event and EVERYONE is invited! Bring the entire family and discover the beach life for yourself! – SUP & Kayak Rentals! – Country 100.7 FM will be on site! ENTER TO WIN A CATERED DINNER CRUISE FOR 4! On Saturday we’ll be holding our Summer Kick Off at McKinley Beach! Not only will there be a complimentary BBQ, free kayak and SUP rentals, but we’re also going to be giving away a Catered Dinner Cruise for 4!